Welcome to Fizzy Party Trop Fest at Opal 28. Come on up, there's lots of entertainment and fun outside before the crafting begins. Opal 28 has a great outdoor patio space for weddings, parties and events. 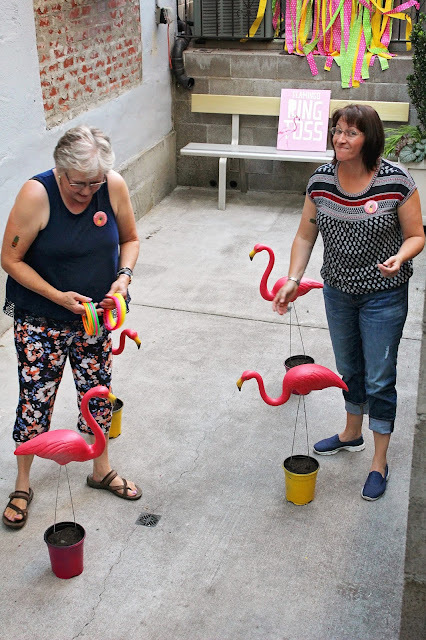 The lower patio was the perfect space for a game of flamingo ring toss. 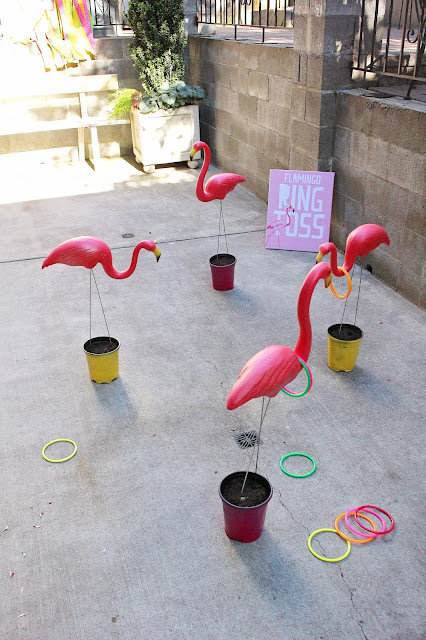 I didn't want to spend money on pots to put the flamingo's in so I spray painted some plastic flower pots I already had on hand, filled the bottom with rocks I had in my yard to weigh them down and then put dirt on top the rocks. My friend is saying. "This ring toss is not very easy." That didn't stop people from having fun though. 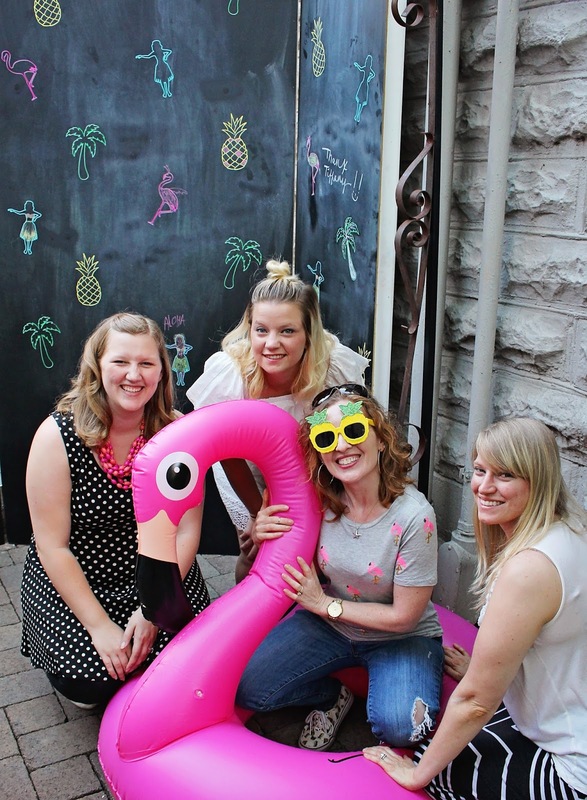 This flamingo from Shindigz was a HIT at Fizzy Party Trop Fest. All the attendees had a lot of fun posing with this guy. 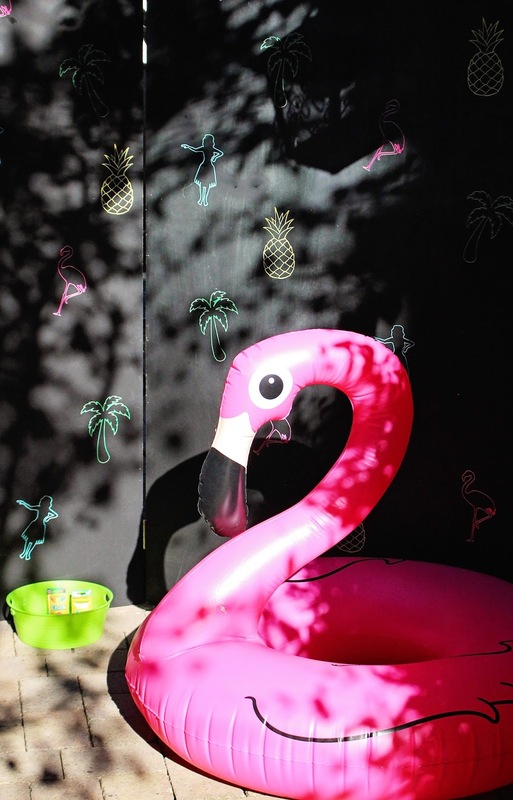 The photo prop behind the flamingo was one of my FAV things at Fizzy Party Trop Fest. When I told Marquee Design PDX my idea of an interactive photo op she loved it and ran with it. Don't you LOVE this idea?! 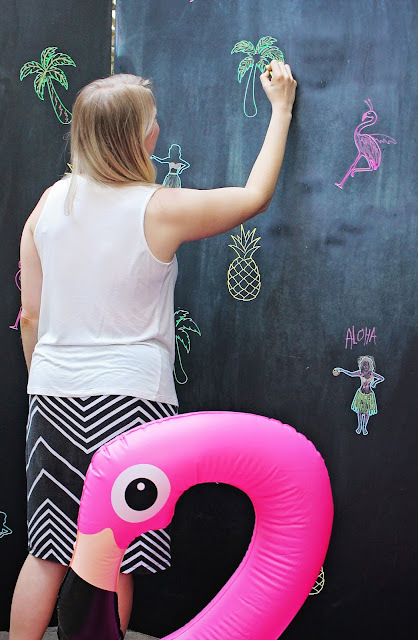 It's a giant colouring wall. 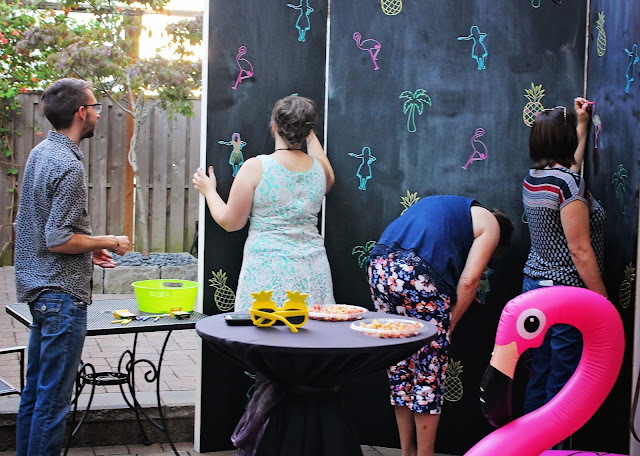 Marquee Design PDX has this great tri-fold chalk board backdrop that she had vinyl tropical cutouts made for the attendees to colour in. I like the antennae added to the flamingo. B. Lovely Events having fun at the colouring wall. 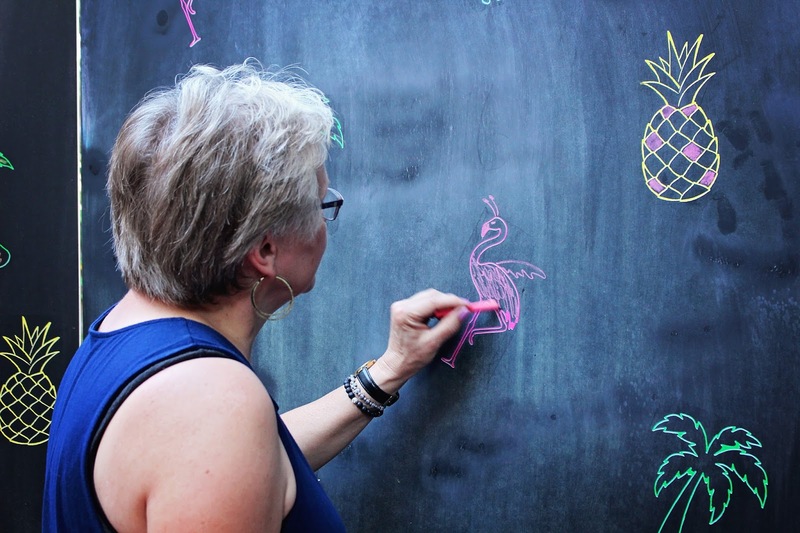 The attendees really got into the colouring wall. This would be such a fun idea at a wedding. A bunch of creatives, A Crafted Passion , This Messy Season who was in town visiting for the summer, Me :) Fizzy Party and B. Lovely Events. If you missed the dessert bar pop over and fill up on eye candy. Have fun shopping and creating your own tropical event. I'm pretty bummed that I missed this!